Is the Munich Black, a beer created in 1888 following the ancient Munich tradition. It is distinguished by its intense toasted flavour with a sligthly sweet final touch, an equilibrated beer without the excessive bitterness that other beers of its category have. My friend Gene was in Barcelona Spain on business and brought me back on of these unique bocks. I can’t wait to try this one. 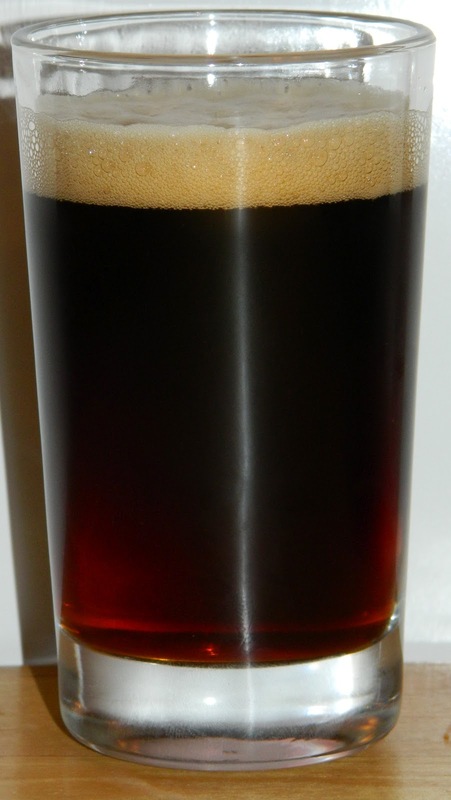 The beer pours a clear but almost opaque dark chestnut brown with rich ruby hues and a rich tan head. The nose is nice with modest dark roasted malt aromas. Hey that was a nice fist sip. It’s not a robust bock but it sure is good. The taste starts out with a touch of dark malt sweetness up front followed by a very pleasant smooth mouthfeel in the middle of the sip. The back-end is very easy drinking with an almost effortless swallow. There is a carbonation release during the swallow what adds a refreshing aspect and also masks some flavors. The finish is very nice with rich but smooth dark malt flavors with notes of toffee and a touch of chocolate. The final aftertaste is some lingering roasted malts. There is no noticeable hop presence in this beer. This is a very nice Bock. I am impressed with the richness of this beer while also maintaining such a refreshing easy drinking overall quality. This is going to be one short review. This beer was so easy drinking it’s gone already. That last sip was at room temperature. It was rich and smooth to the last warm drop. A | Bock Damm is an excellent Bock, rich but also refreshing and easy drinking with dark roasted malt flavors and a smooth mouthfeel that leads into a nice refreshing finish with notes of toffee and a touch of chocolate.